Publishers are out to crack the code on how effective their Snapchat photos and videos are, and some are leaning on Twitter for insights. At a panel organized by Northside Festival this week, MTV execs talked about how the publisher is programming short-form content for the mobile app geared toward millennials. MTV is one of a handful of publishers on Snapchat that produces for Discover—the part of the app where roughly 20 media brands publish daily content—and manages its own account. MTV often asks musicians to take over the account for a day and posts behind-the-scenes looks at awards shows. In the case of Discover, Snapchat sends MTV a detailed daily email breaking down how many people open its edition, how many look at specific articles and videos and how many view the entire edition, said Cory Midgarden, MTV's Snapchat Discover producer. Meanwhile, Snapchat is also beefing up its measurement efforts for advertisers that run vertical video ads alongside Discover content. Today, the app confirmed it's working with analytics company Moat to develop a metric that will measure the time exposed to both video and audio. The app also has deals with Millward Brown, Nielsen, Sizmek and Innovid. But when it comes to MTV's own Snapchat account, the publisher has to be a bit more creative in figuring out how many eyeballs its photos and videos reach. While the brand can see basic stats—like how many people looked at or took a screenshot of a piece of content—it also uses Twitter to dig deeper into understanding its Snapchat audience. "We actually see a lot of our audience talking to us on Twitter—that's a great place where we'll promote and we see a lot of crossover there," said Sarah Epler, senior director of social media for MTV. "When we put new snaps up, our audience will screenshot them, tweet at us." For example, MTV recently had singer Zayn Malik take over its account for a day, and that got a lot of buzz on Twitter. Epler added that she specifically homes in on sentiments like how happy someone is, and her team analyzes screenshots that people attach to their tweets to determine which Snapchat pieces are most popular. However, Midgarden warned that people who tweet about Snapchat content don't represent a full spectrum of opinions, especially when it comes to negative chatter. "The Twitter audience really loves Snapchat, so I have to take things with a grain of salt when I'm looking for feedback—because almost everything is positive," he said. "I would say that almost one out of 50 things is negative." 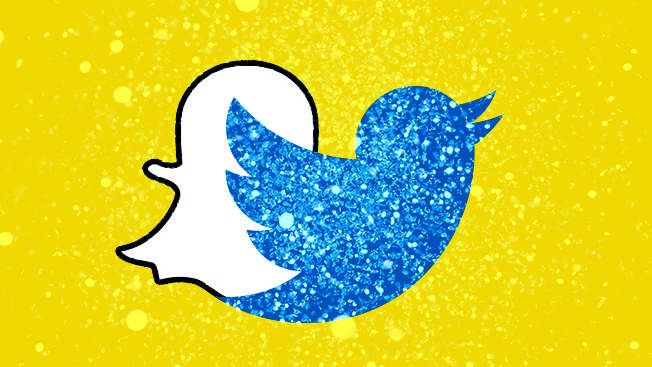 MTV isn't the only publisher that's seen Snapchat results from Twitter. Earlier this year, Delmondo, a company that pairs up marketers with social media influencers and analytics, worked with the UFC to interview One Direction singer Niall Horan on Snapchat. It then picked up steam on Twitter. "What we have found is that content begins on Snapchat but spreads outwards to more open social platforms where consumers have typically larger networks," said Nick Cicero, CEO of Delmondo. "Once content leaves Snapchat, we have access to a lot more data about content performance and the audiences of the people who feel so compelled to start new discussions across social."